Although most of Germany’s school curricula now include different forms of martial arts and therefore, a corresponding need for qualification of prospective teachers is demanded, so far there is hardly any data on martial arts classes at sports science institutes throughout Germany’s universities. In spring 2017, persons with lecturing or coordinating activities in the field of martial arts were surveyed about basic data of their class (e.g., target group, scope, obligation), didactic-methodological factors (e.g., goals, contents, methods, examinations) and their employment status. No martial arts courses were identified at 14 out of 60 universities. The 54 courses recorded (described by 48 persons from 31 universities) are comparable relatively well in terms of organizational conditions: About 83% comprise two contact hours per week per semester and about 74% are compulsory electives. Heterogeneity prevails with regard to the learning objectives of the courses and the teaching methods. 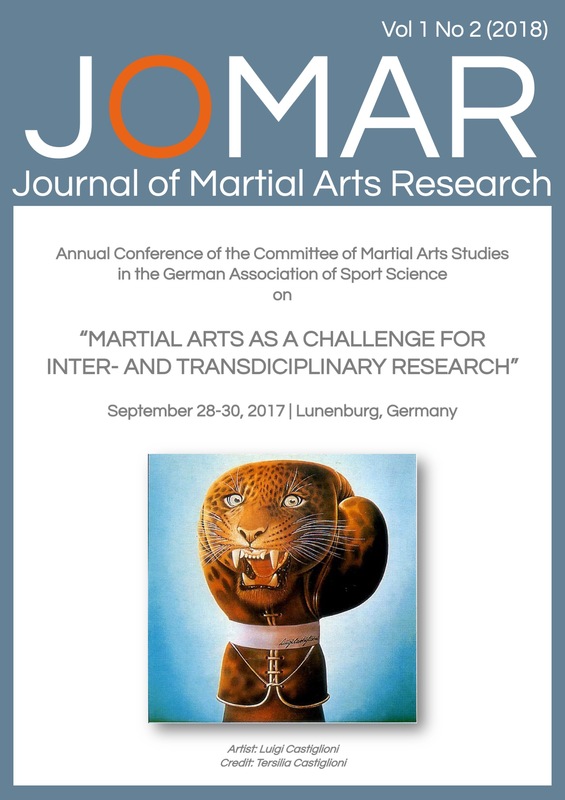 The survey provides a subject-related discussion base for the implementation of theory and practice of martial arts in university courses.